Home » Bathroom Help Category -- Also note those subcategories in the orange navigation, above! 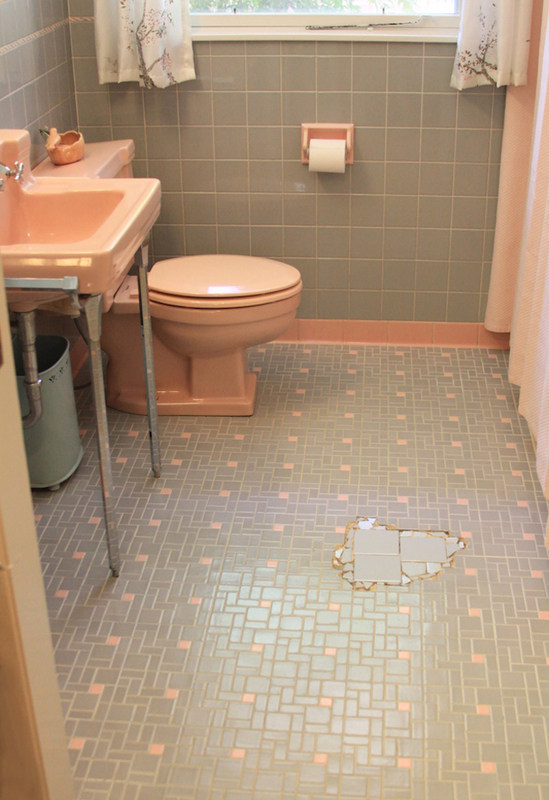 » pink bathrooms » Can we help EarthaKitsch find tile to fill in the gap in her pink and gray bathroom floor? 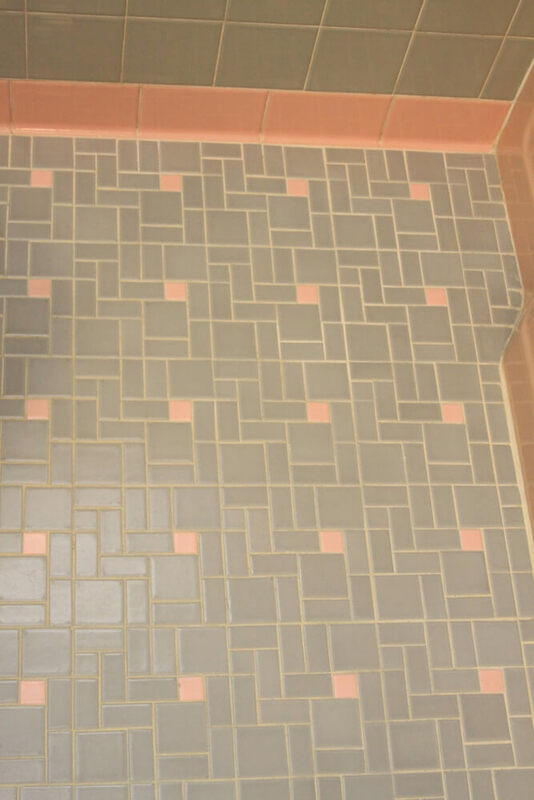 Thanks SO much for offering to show our tile to see if anyone can help. We’ve scoured your blog and looked into all of the tile manufacturers listed and have also paid a fee for a service to search their warehouses for dead-stock portions of our tile. No luck. We’ve also been watching Craigslist and eBay like hawks to no avail. We just KNOW that somewhere out there, someone has some of our tile sitting in a dusty shed or is about to rip it out of a bathroom. We had a tile person come out to the house, and he said that there is a slight chance that he can harvest some tile out of our bathroom linen closet but that since our tile is laid straight onto concrete, there might be more loss than gain. We found some fragments of our tile in a trash pile in the brambles at the edge or our property but there is no maker or other info on the back of them. We recently saw our tile in an estate sale house so we know that it wasn’t something rare. So, that’s the scoop on the great (or not so great) tile hunt. The colors are a peppy (and kind of Pepto) pink and a sort of blueish gray. The sizes are 1 x 1, 1 x 2 and 2 x 2. 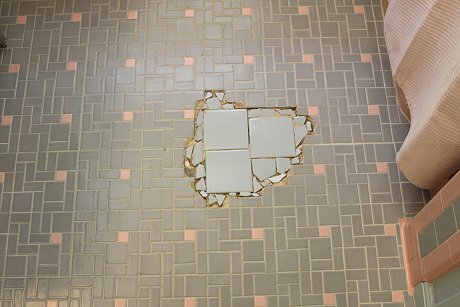 I’m attaching photos and will also attach a photo of the patch job that was done sometime in the past. Our house is on a concrete foundation and we’re guessing that someone had to get to the plumbing through that hole in the floor. Then they slapped some random tiles in haphazardly and called it a day. I never will forget the day that we first walked through this house. 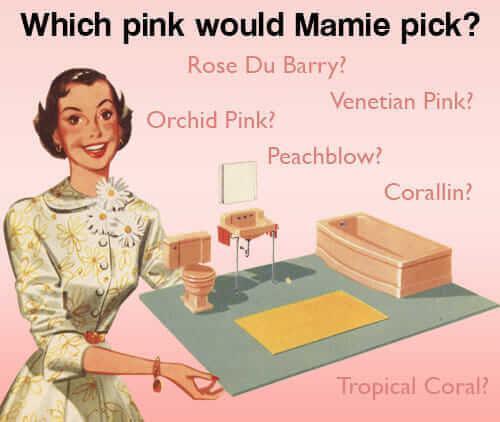 We went into that pink bathroom and angels started singing because everything was original…pink…pink…pink. What do you think, readers? 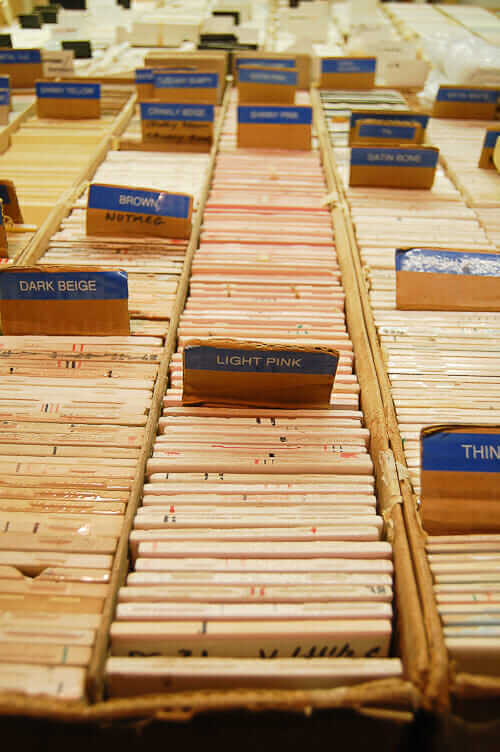 Can you be on the lookout at Re-Stores and craigslist and the like and if you see any New-Old-Stock, post an alert here? Meanwhile, I have a few more sources for new tile today that might do the trick. I will post them tomorrow and Saturday. have you checked DalTile? they might have the matching tile available. If you can get a hold of the right person somewhere they might want a small sample mailed to them so they can do a limited run, that might be the way to go so you have spares too. Can you order a sample from Daltile? 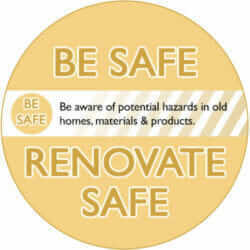 http://www.daltile.com/mosaic_design.cfm how about salvage yards in your area? I work for a construction company and sometimes you can even ask some tile companies to make a custom order tile for you. We get plenty of those! and BTW I’m IN LOVE with your bathroom, tile missing and all, It’s lovely!